Written for the Savannah-based, online Cine-Files in May 2014, posted circa early June, and reprinted here, with their permission (and some added illustrations). — J.R. It seems to me that one reason why acting tends to be neglected in film criticism is that we can too easily confuse it with other elements — writing, directing, the ‘auras” of certain personalities, even certain casting decisions — in much the same way that we’re often confused or misguided about the sources of our own behavior (such as, are we weeping to express sorrow or to produce sorrow?) Or do you see this neglect stemming from other reasons? JAMES NAREMORE: I think there are at least four reasons why there’s been a relative neglect of acting in serious film criticism. First, because we live in a culture of spectacle and celebrity in which movie stars are over-valued, academics and intellectuals have tended to give more attention to what happens behind the camera (when they deal with actors, they usually take a sociological, cultural-studies approach to the phenomenon of the star). Second, acting is neither a medium-specific art form nor a requirement for cinema; we can make excellent motion pictures without professional actors, and even without human subjects (well-known examples of the latter include Marcel Duchamp’s Anemic Cinema  and, apart from three fleeting human events, Michael Snow’s Wavelength ). Third, as you point out, we can never know exactly how much agency to attribute to film actors (or maybe even to ourselves): the semantic context of their actions is often determined by editing; their expressions can be dictated by directors; their appearance is controlled by lighting, costuming, make-up, and special effects; and their voices, bodies, and body parts are sometimes “played” by doubles. Fourth and I suspect most important (I speak from experience), acting is much more difficult to write about than such things as screenplays, editing, or camera style. The performer’s body language, qualities of voice, and styles of movement are relatively easy for audiences to sense and appreciate, but not at all easy to capture on the page. As Raymond Bellour once remarked, a major problem for any critical writing about film, as opposed to literature, is that one can’t quote; this is an especially vexing problem where movie acting is concerned. Verbal analysis of actors always requires a good deal of potentially tedious description of non-verbal behavior — in other words, it translates acting into another mode of communication. Fortunately, the digital age has made it much easier for writers to give close study to performances and to capture images as illustrations. I think the new technology is going to stimulate a rise of interest in the techniques of movie acting. JR: I wonder if this will also discourage some of the more impressionistic writing about acting done by such critics as Manny Farber and Pauline Kael, who are especially attuned to actors. 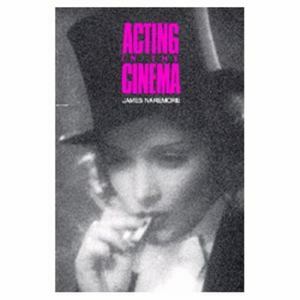 As I argue in my Introduction to the (forthcoming) Chinese edition of Acting in the Cinema, “what they’re usually telling us isn’t so much what such actors as James Cagney and Robert De Niro are doing as how they’re making us feel when they’re doing it, and how certain contexts determine our responses,” in contrast to the very precise as well as evocative way you describe their performances. Speaking of contexts, here’s an interesting quote from Marlon Brando: “In a close-up the audience is only inches away, and your face becomes the stage. In a large theater it is the entire proscenium arch, so that no matter what you do, it becomes a theatrical event.” Of course film acting is a lot more than close-ups, but Brando’s statement seems to imply that long shots might approximate the conditions of stage acting. Do they, in your opinion? Or do you accept his formulation at all? JN: I hate to disagree with Brando, but I’d put the case somewhat differently. I suppose Brando sometimes felt limited by tight framing that cuts off parts of the actor’s bodily “instrument” and leaves insufficient room for gesture and improvisation. Where wide shots are concerned, there’s an obvious similarity with conditions on a stage, but there’s also a difference. In a theater, the actor is viewed by a crowd positioned at various points in the auditorium; in a movie, whether in close-ups or proscenium framing, the actor is viewed from a single vantage point — the eye of the camera. That means that the actor’s performance in the theater is always spread out, and in movies is always focused on one spot. Some of the films you and I admire — by such directors as Chantal Akerman, Pedro Costa, Manoel de Oliviera, and Jim Jarmusch — are composed in long sequence shots at some distance from the actors. The performances in these films are in some ways like theater, but the actors aim their work much more narrowly than they would on a stage. Orson Welles always emphasized this difference. He argued that film performances could be as big and strongly projected as on a stage (in his films they often were), but they had to be focused like a laser beam. JR: For me, another thing that complicates critical writing about acting, especially when it becomes evaluative, is that it often amounts to approving or rejecting certain forms of the behavior of certain characters. There’s also the issue of how one responds to excess, actual or alleged. 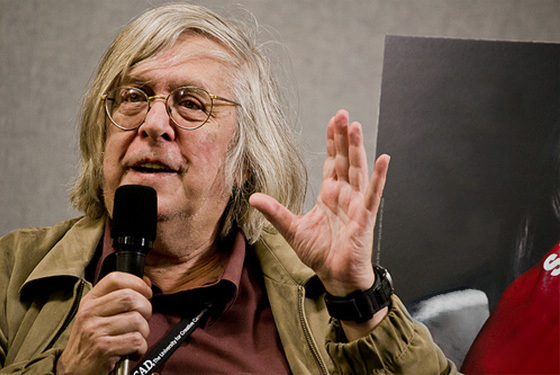 In a DVD extra on Eyes Wide Shut, Spielberg recounts a conversation he had with Kubrick about finding Jack Nicholson in The Shining a bit excessive; Kubrick responded by asking him to name off the top of his head his five favorite Hollywood actors and then noting afterwards that Spielberg hadn’t included Cagney on his list. I take his point, but on the other hand I love Cagney but can’t abide Nicholson in The Shining. It seems to me that brute behavior in some films (such as Brando in Streetcar or Nicholson in The Shining or Five Easy Pieces) is often praised as acting rather than as behavior, which would be more honest. (Cagney, we should recall, became famous because of that grapefruit.) How would you evaluate Nicholson in The Shining? And would you agree that your own celebration of Clara Bow in Mantrap, which I find very persuasive, rests in part on your appreciation of her character’s behavior? For me, your example of Clara Bow in Mantrap goes to the heart of the matter. How much of what we like in any movie performance has to do with the character, and how much with the actor? I guess we can’t be sure. It reminds me of the rhetorical question William Butler Yeats asked in a celebrated poem: How can we separate the dancer from the dance? I can only say that I’m confident I wouldn’t like the character in Mantrap quite as much if she were played by another actor. It’s not only Bow’s sexiness, but also her great comic talent, behavioral wit, and sweetness that makes the character she plays so appealing to me. If I try to mentally substitute another actor of the period in the role, it falls flat. She’s truly helping to create the character. About a year ago, in Sarajevo, at Béla Tarr’s Film.Factory, when I was fortunate to attend a couple of extended lectures/workshops by Tilda Swinton about acting, I was especially impressed by the degree to which she was able to use the theory and practice of Robert Bresson as a guide to film acting in general. She emphasized that film acting had little to do with conscious self-expression and a great deal to do with actors emptying out their usual arsenal of expressive tools so that simple signs — such as an actress opening her mouth instead of closing it — could convey what a particular director needed to advance his or her particular narrative in that particular shot. 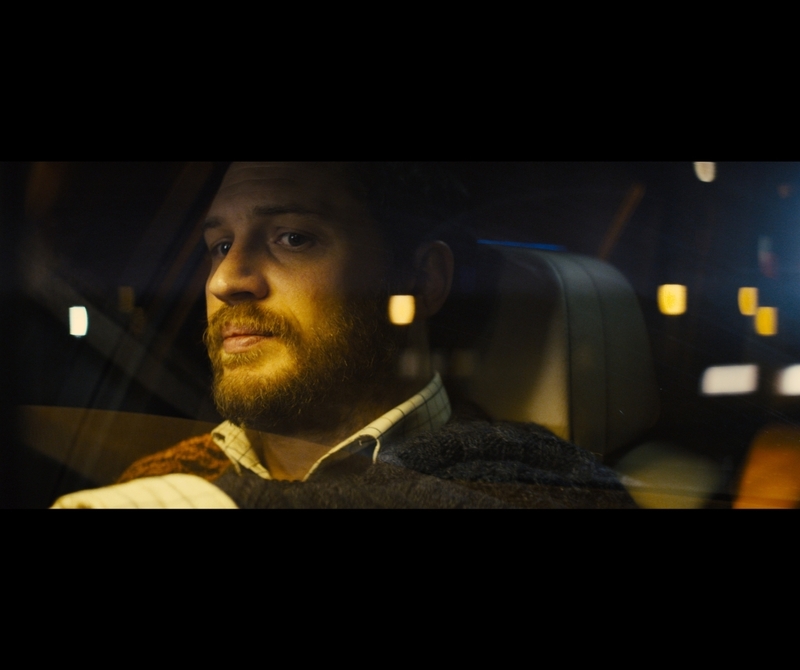 Tom Hardy’s potent and minimalist acting in much of Locke (2013), written and directed by Steven Knight, seems like a very strong instance of applying this principle -– a man driving on a highway and responding to various phone calls en route — although I’m sure one could come up with many other examples. You bring up Bresson yourself at the end of your third chapter, ”Rhetoric and Expressive Technique,” where you relate pantomime to “newer performance techniques” (67), and I was wondering whether Swinton’s formulation makes sense to you in relation to contemporary film acting. 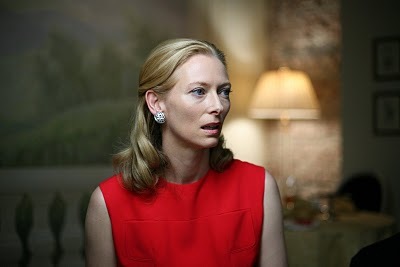 JN: Interesting that Swinton is in some ways influenced by Bresson. I doubt that many contemporary film actors are consciously indebted to him, but Bresson’s theories of acting are in some ways essentially cinematic. I’ve always thought that Bresson had a good deal in common with Hitchcock in regard to acting. For Hitchcock actors were “cattle” and for Bresson “models.” Hitchcock wanted stars, but both wanted actors who could follow very precise physical instructions and not worry too much about high emotion or psychological subtext. 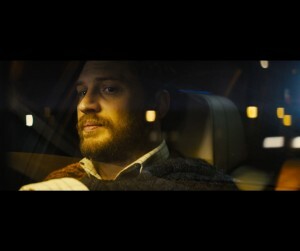 I haven’t seen Locke, but from what I’ve read about it Tom Hardy’s work is exactly in this vein. And now that you point out the connection between Swinton and Bresson, the idiosyncratic and powerful quality of her performances comes into focus for me. She’s played a wide range of quite emotional roles (The Deep End, Michael Clayton, and I am Love come to mind), but she always has a kind of emotional reserve and makes each movement count.